This is how many of us here at Spielverlagerung describe Monaco. This match against Arsenal showed exactly why they are behind a team like Atletico Madrid in some regards. 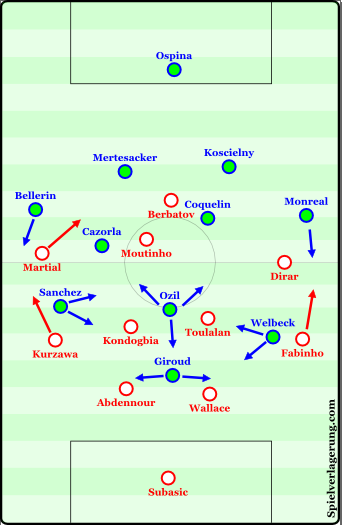 The game was defined by Monaco’s lack of vertical compactness – which is not something fans usually see from their team. 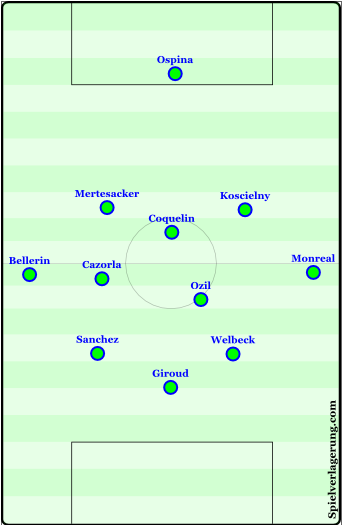 Even with their poor compromising of space, Monaco were able to progress through by only losing 0-2 on the night.